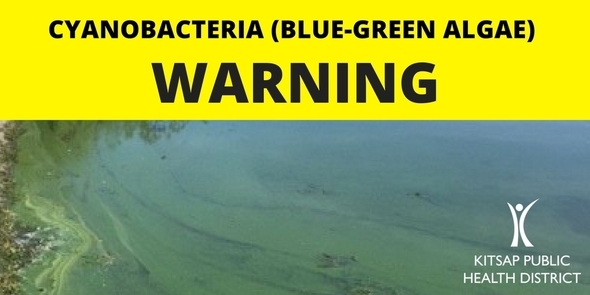 Today the Kitsap Public Health District issued a no-contact advisory for Kitsap Lake due the presence of potentially toxic cyanobacteria – also known as toxic blue-green algae. Large numbers of dead fish in the lake. Sudden or unexplained sickness or death of a pet cat or dog. If someone has entered the water and experiences skin rash, dizziness or weakness, respiratory allergy, abdominal pain, diarrhea, or vomiting.